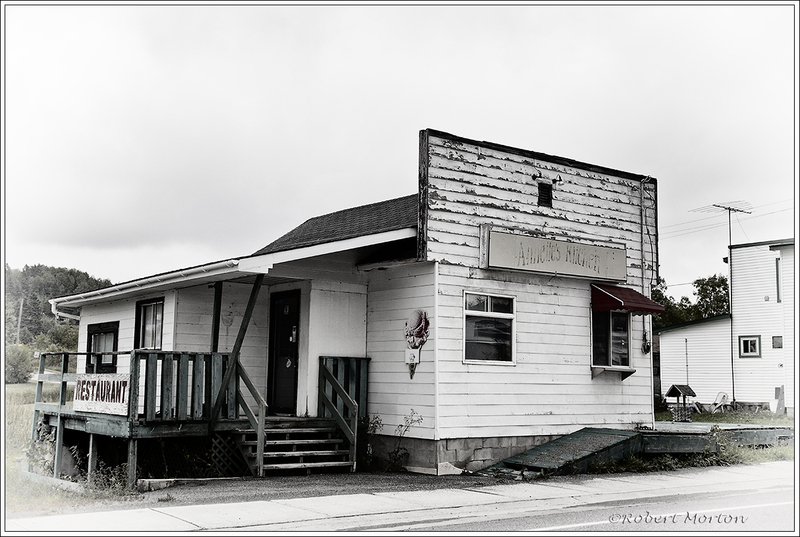 Our local watering place is the Portage Hotel (Restaurant). It’s a real neat pub at the junction of about four snowmobile trails. This is what keeps it going in the winter as hundreds of machines and the people on them pass through the parking lot. Many stop to rest for a while at this friendly, comfortable and unique warm place for coffee and perhaps a bite to eat. Today was the warmest in several recent very cold ones, in fact almost bikini weather. Lots of people out for a ride. Winter is a fun time of the year. 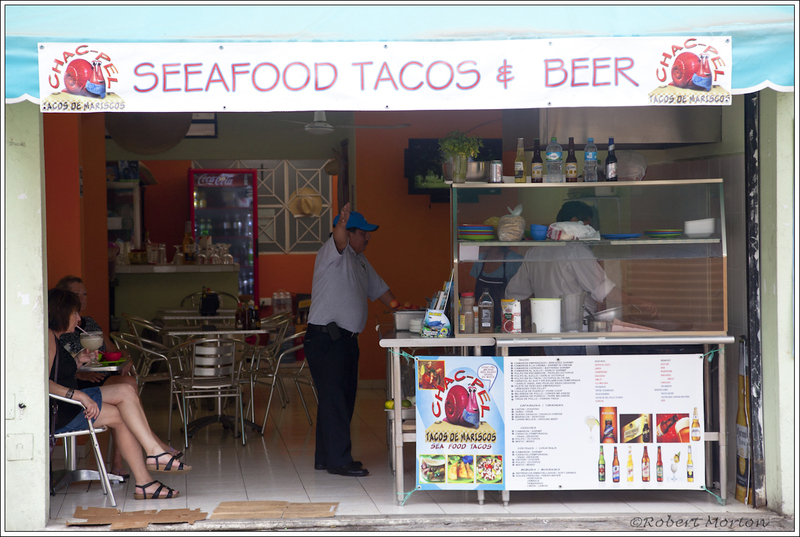 Storefront in Playa Del Carmen, Mexico. I would hope the food improves on the spelling. I passed through Field on Saturday afternoon to visit a little craft festival nearby. The hamlet has seen better times but still hangs on. One casualty is this restaurant building which I suppose is just waiting for demolition, judging from the missing hydro meter and the decaying foundation. Good food and good times happened here but life goes on, leaving warm memories in its wake. Still, it’s sad when these changes happen. Cycle of Life, I guess. If you know the code you can figure it out. 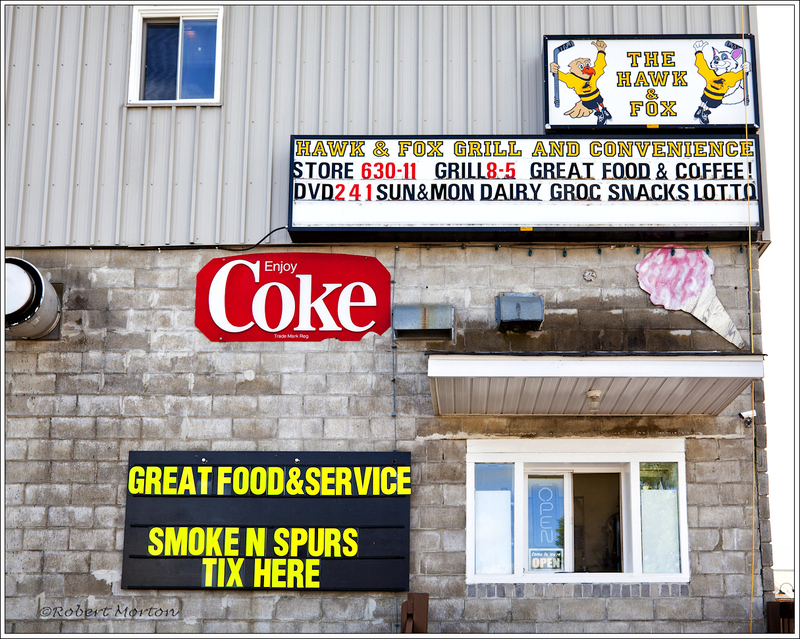 Offering multiple services helps one to be a successful business in the small town of Powassan. 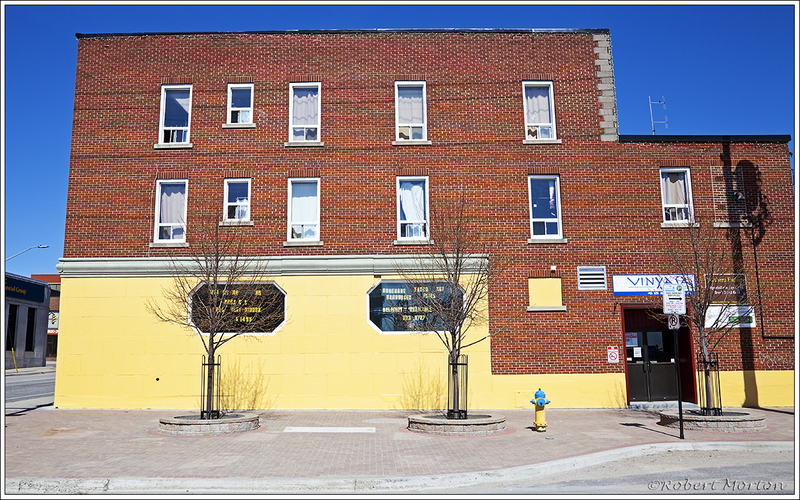 Two ground floor windows in the old Belmont Hotel building are octagonal. Would this qualify as an example of Art Deco architecture? 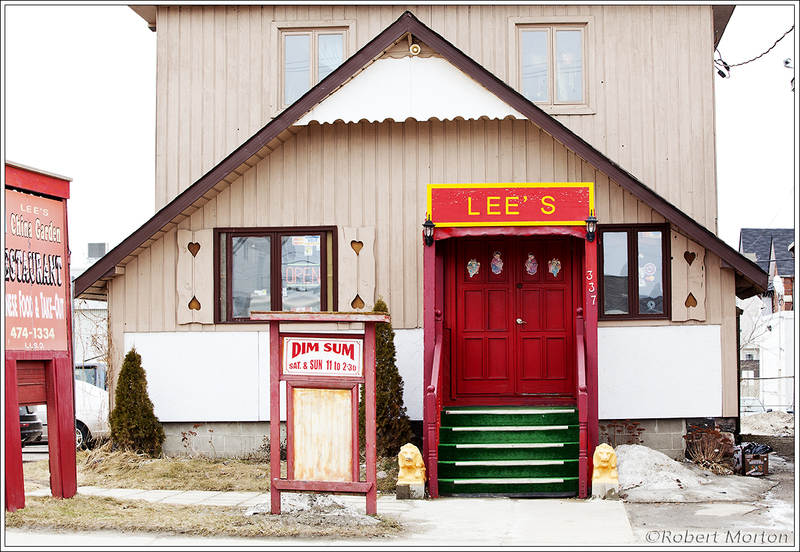 The gold lions guard the entrance to Lee’s China Garden.